Student Apparently Assaults Teacher In Classroom Over Confiscated Phone. It is clear to us - a student will never see any dot of success when the student beats a teacher. 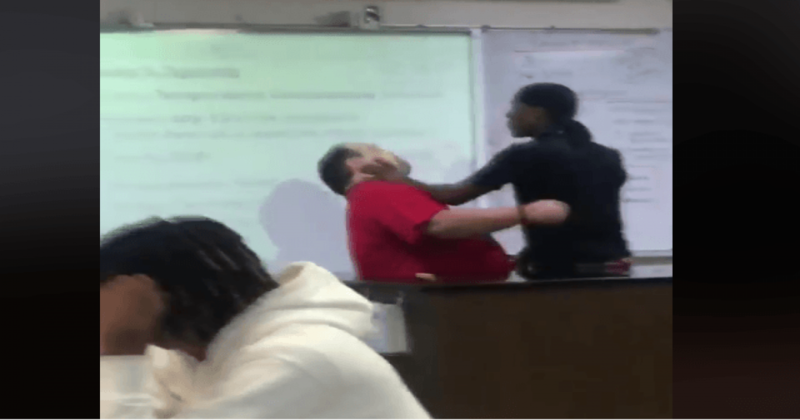 A Texas high school student beats one of his teachers in the classroom over a consisted phone. The incident occurred after the teacher took away the teen’s smartphone for using it in class. It is not allowed for maintaining the environment of teaching in the classroom. The disturbing assault was caught, ironically, on a smartphone. The other students in the class can be heard shouting their disbelief of the situation. Yet, throughout, Soehnge sat calmly in his chair. Subsequently, the teacher placed the student’s mobile device on the top of the table. The agitated teen grabbed his phone and stormed out of view.